Small 10 x 12 inch oil painting completed over two days in my studio from photographs and sketches made on a recent trip to Cornwall. Such a beautiful walk along the cliffs from The Lizard to Kynance Cove. 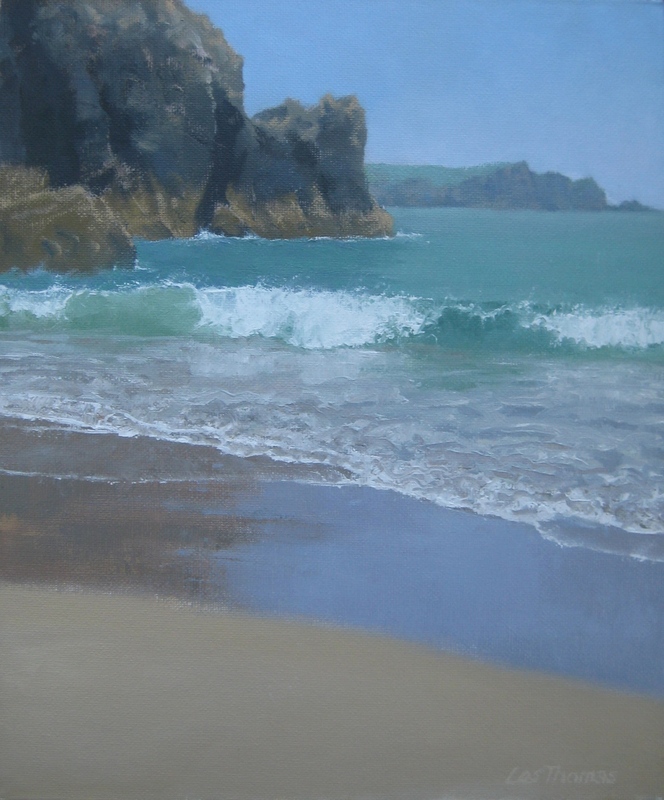 This entry was posted in Uncategorized and tagged Art, Cornwall, Kynance Cove, Marine painting., Oil painting, painting, seascape., The Lizard. Bookmark the permalink. Excellent Beach Scene, you really captured the wave well. Cheers, Shawn. I was pleased how the wave turned out.